Success! Hnin Naddy from Burma raised $968 to fund an MRI. Hnin Naddy's treatment was fully funded on March 10, 2019. Hnin Naddy underwent an MRI. The result shows that the mass is likely an orbital hemangioma. The doctor prescribed her medication and scheduled her for follow up in April. Hnin Naddy is a one-year-old girl from Burma. She lives with her parents and two brothers in Bilin, Mawlamyaing Township, Mon State. Her mother sells snacks and her father builds roofs. Hnin Naddy was born with a birthmark over her right eyelid. Since then, it has grown considerably. Now, the mass completely covers the top of Hnin Naddy’s eyelid and prevents her from seeing out of her right eye. Doctors want Hnin Naddy to undergo an MRI, an imaging procedure that uses magnetic fields and radio waves to produce images of bodily organs. This scan will hopefully help doctors diagnose her condition and formulate an appropriate treatment plan. Our medical partner, Burma Children Medical Fund, is requesting $968 to cover the cost of Hnin Naddy’s MRI and care, scheduled for January 29. 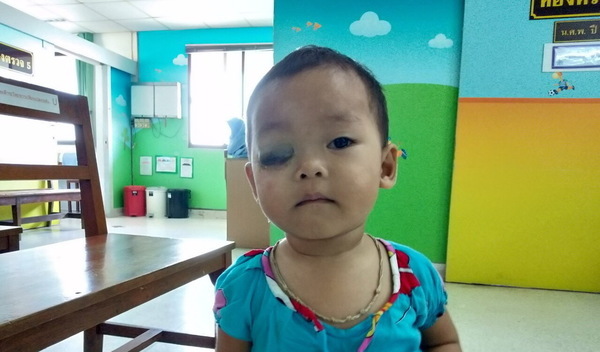 Hnin Naddy's case was submitted by Bue Wah Say at Burma Children Medical Fund in Burma. Hnin Naddy was submitted by Bue Wah Say, Project Officer at Burma Children Medical Fund, our medical partner in Burma. Hnin Naddy's profile was published to start raising funds. Hnin Naddy received treatment at Maharaj Nakorn Chiang Mai Hospital. Medical partners often provide care to patients accepted by Watsi before those patients are fully funded, operating under the guarantee that the cost of care will be paid for by donors. Hnin Naddy's treatment was successful. Read the update. Hnin Naddy's treatment was fully funded. Willy is a driver from Malawi. He lives with his wife and eight kids. He enjoys watching football after work. For over a year, Willy has had a left inguinal hernia. He is unable to work due to the pain caused by the hernia, which affects his whole family as he cannot otherwise support them. 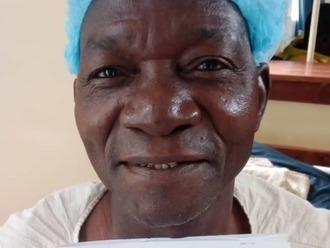 Fortunately, on February 19, he will undergo hernia repair surgery at Nkhoma Hospital, our medical partner's care center. Our medical partner, World Altering Medicine, is requesting $334 to fund Willy's surgery. The requested money pays for supplies, medications, and six nights of hospital stay. He is ready for the surgery and hopes to continue working as before upon full recovery. He says, "I am so grateful for this program and I hope that it will continue to bless others as well as myself!" Nyarna is 59-year-old nun from Burma. After her husband and children passed away, Nyarna worked as a housemaid for a while before deciding to become a nun four years ago. Around 2014, when she was working as a housemaid, she had jaundice for which she received oral medication. Later in 2019 she started to suffer from abdominal pain, loss of appetite, difficulty sleeping and fatigue. Doctors want Nyarna to undergo a CT scan, a procedure in which x-ray images taken from several angles are combined to produce cross-sectional images of the body. This scan will hopefully help doctors diagnose her condition and formulate an appropriate treatment plan. Our medical partner, Burma Children Medical Fund, is requesting $414 to cover the cost of Nyarna's CT scan and care, scheduled for March 4.